Then today, more victims, more carnage, and an uneasy relief as three known assailants are killed. These images coming out of Paris are both terrifying—the blood spattered floor of the Charlie Hebdo offices, the hostage standoff—and uplifting, last night’s protests and the flood of relief as today’s horror comes to a close. The French way of life is considered by many to be France’s only true religion, and one could argue that Charlie Hebdo is a stalwart defender of French culture. By “making fun” of “religious extremists” they champion France’s all-inclusive secular culture. But in a brilliant post, comic critic Jacob Canfield offers the idea that Charlie Hebdo has become a vehicle for what Canfield calls a “virulently racist brand of French xenophobia.” The magazine’s depiction of both Muslims and Jews with protruding, hooked noses (forget whatever else is being depicted in these images) is enough to suggest Canfield has a point. If Je Suis Charlie means that I will stand by and support the continued marginalization of the non-white and non-male, then I most certainly am not Charlie. But I will defend the rights of those who do. And I will not let the hurt and anger that follows this sort of tragedy blind me to the fact that someone will turn it into a political opportunity. Did we know after September 11 what it would look like, exactly, to “defend our way of life?” Could we have foreseen creating the world in which the men who committed these heinous crimes were created? 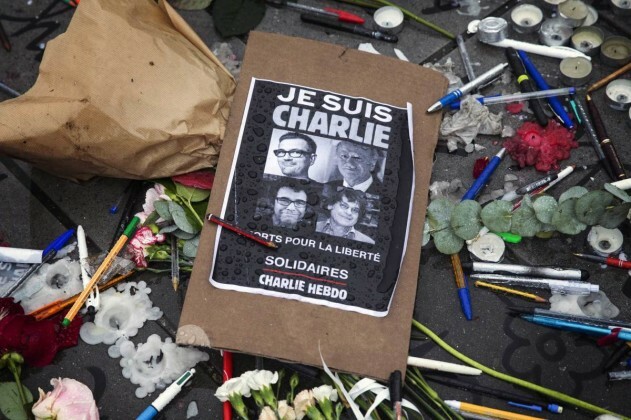 “Je Suis Charlie” became a hashtag within seconds, a battle cry within minutes, and for good reason. It seems to encompass what we want to say when incomprehensible violence takes the lives of innocent individuals—I am with you. I stand with you. I am Charlie. And while I defend the rights of anyone to free speech (which I am enjoying while I write this) and offer the families of the victims my deepest, truest sympathies, that’s not what “Je Suis Charlie” means. We should grieve, yes. But grief is among the most easily manipulated of all human emotions. Let’s not let it make us do—or say—something we will regret. Cameron Dezen Hammon is an MFA candidate at Seattle Pacific University, and her work has appeared in NYLON Magazine, Gigantic Sequins and Killing The Buddha.